Google I/O event is happening and the company is adding quite a boatload of upgrades to its existing platforms as well as introducing new ones. Moreover, we’re seeing AI taking over as Google Photos has also received it. Google Photos already had tools available that allowed users to edit their photos. Now, the company is making it even easier to fix photos with the new version of Google Photos app. So let’s see some more details on the matter. The new version of the Google Photos app will suggest tweaks like rotations, brightness corrections and much more. The changes are announced at the Google I/O developer conference. The tweaks and changes will be available right below the photo that you are viewing. The changes being introduced correlated to the AI technology and its implementation in the main interface. According to the company, the concept of adding fix suggestions is where the application sees user’s maximum activity in the app. Google Photos will start rolling out with the said changes this week. There is also a brightness tool located beneath the photo to fix the dark photo. The rotation has a similar button. These are all one tap fixes for the Google Photos. Previously you had the option available to do most of the features the company has announced but it required you to manually do it in a cumbersome manner. Moreover, the changes are available as a suggestion instead of implementing them automatically. The Smart Actions will allow you to scan your documents and send pictures much more easily. There is a bevy of other features and functionalities being announced as well, so do check that out as well. There will be more to the story, so be sure to stay tuned in for more details. This is all for now, folks. 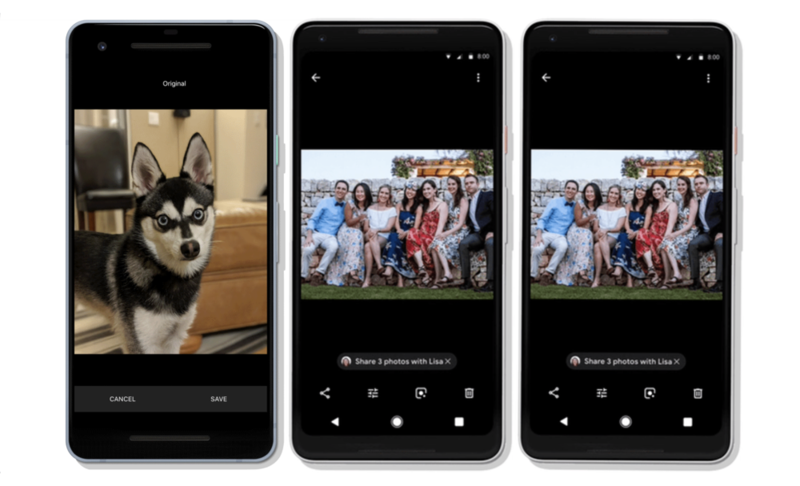 What are your thoughts on the new feature set and AI part of Google Photos? Let us know in the comments. Google Photos Will Colorize Your Old, Black and White Photos Using AI!